With a new year around the corner, it is the season to make new goals for the year ahead and reflect on the year just passed. However, there’s still time left on the clock and it’s important to finish the year strong. Whether you’re in smooth sailing mode as a result of achieving your goals or still need to make a big push. But before you head to the liquor store to pick up champagne for your year-end celebrations, refocus on your goals so that you can finish the year on a strong note. We encourage you to incorporate the three tips below. Too many people throw in the towel before the clock strikes zero. By doing so, they don’t get any closer to reaching their goals. 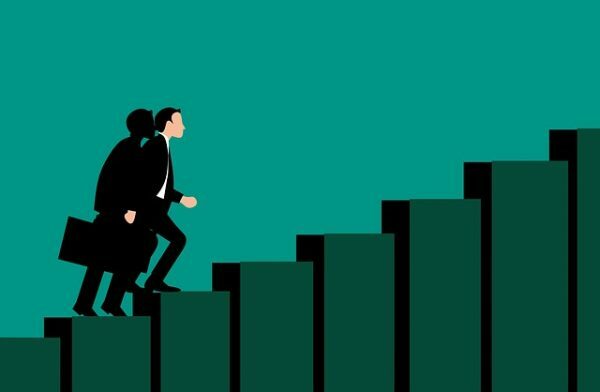 Whether it be a monetary goal of making $10,000 in one month, a fitness goal of losing 10 pounds in a month, or investing in your dream car at the car dealership by the end of the year, perseverance is key. You might not reach your biggest goals this year, but you shouldn’t stop just because of that fact alone. Let’s say you want to lose 10 pounds in any given month. Week three rolls along and you still have seven pounds to reach your weight-loss goal. 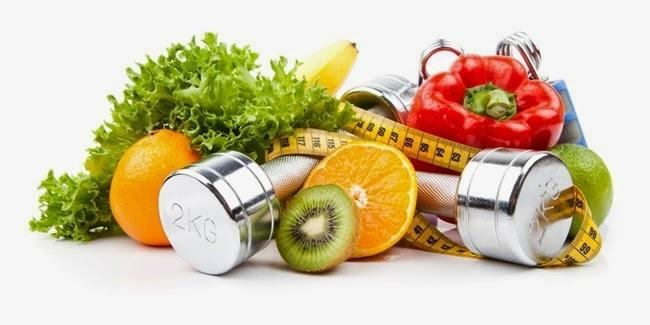 If you stop your workout and eating plans and revert back to your old habits, then you’ll get farther away from accomplishing your goal, you will stop your good habits, and you will likely gain back the lost weight. The better solution is to continue to put in the work and lose one to two more pounds, getting you closer to your goal because you didn’t quit. Life is all about progress. While we only want to see the end result, focusing on our progress will not only get us closer to the end result but it will help build good habits. It will also help us continue to improve and make our lives better. It’s OK if you didn’t reach your goals. What’s not OK is blaming yourself for the mistakes you made and for not achieving your goals. You have to forgive yourself if you’re going to move forward and become the person you want to be. Forgiving yourself can help you reboot your mind, thought process, and path. You have to take care of your mental health and one of the ways you can do that is by letting go of the past and moving forward with a clear conscience. Plus, letting go of the past can lead to you restructuring your plan so you continue to improve in your desired area before a new year begins. While New Year’s resolutions only work for around 9 percent of people, that doesn’t mean you shouldn’t reflect. It is true that reflection alone won’t help you start that marketing business for animal companies, but it can help you focus on what you’ve been doing right and wrong and also what you’re grateful for. You will be able to assess your life so you can make positive improvements that will pay off down the line. Reflection helps you analyze your life, which can help you create new goals and plans. It i important to do this as the year closes so that you can finish strong, and be in a good mindset to start the new year. You don’t have to be like others and wait until the calendar to turn to a new year to start—you can get started immediately. Once New Year’s Eve is here, you can celebrate the fact that you just ended the year on a strong note. Even if you didn’t achieve your goals, you got closer to reaching them and improved your outlook thanks to your strong finish. The benefits of naturopathy are myriad, with unique therapies drawn from a delicate combination of science, nutrition, exercise, botanical medicines, homeopathy, supplementation and lifestyle coaching. The combination of holistic treatments is designed to strike a healthy balance of psychological and physiological wellbeing. Initially, a naturopath will follow a similar course to your GP. They take detailed patient history and a series of tests to confirm your diagnosis. However, the difference from a normal GP is a naturopath will treat issues or imbalances within the body with a uniquely holistic approach. Naturopath’s use their knowledge of the body alongside scientific research to nurture the body back to full health and vitality. Rather than simply masking the problem, naturopathy can be used to treat various infectious health concerns at their core. A naturopath will look at the root causes for such diseases and will directly treat these issues, as well as the symptoms. Often, a naturopath will treat patients who have tried traditional medicine and found the treatment to be ineffective. Several trials have shown that naturopathic treatments are extremely effective in treating conditions in the body. Naturopathy can also effectively treat disorders such as depression, anxiety, hypertension and diabetes. An in-depth consultation with the patient will allow the naturopath to identify drivers of dysfunction in patients of all ages and put together a sustainable treatment plan that the patient can integrate into their lifestyle. These holistic treatment plans are designed to suit the lifestyle of the patient and bring the mind and body back to balance. At your consultation, a naturopath will take a thorough assessment of your medical history and conduct tests to analyze what problems you could be facing if the body. Each patient has an opportunity to talk through their challenges and have a tailored treatment plan to addresses their specific circumstance. Rather than simply giving general feedback and advice, a naturopath will take your lifestyle and nutrition into consideration and create a bespoke treatment plan to suit your unique set of requirements. This means you will have a completely personalised treatment plan that is designed to address your challenges in the most effective way possible. Talk to an experienced naturopath today at Vital Chi Wellness. Heart disease is a huge killer around the world, but especially in the United States. A culture of excess has resulted in many easily avoidable life-threatening health issues among citizens, but it’s easier than you think to design your own personal heart-healthy eating habits. Healthy does not equal boring, limited, or gross. The trick is to educate yourself on as many healthy food options as possible to keep your diet interesting. Here are a few foods that are both heart healthy and delicious. It’s really somewhat difficult to go wrong eating berries of any sort, but blueberries are especially heart healthy. Berries and even wine (in moderation) are good for your heart due to their provision of antioxidant anthocyanins. Blueberries have some of the highest concentrations of anthocyanins, placing them in the spotlight for heart-healthy snacks. Some studies have proven that blueberries can lower your LDL cholesterol and reduce inflammation in the body. Oatmeal is good for the reduction of cholesterol, but it is also rich in soluble fiber. Soluble fiber has been studied and found to naturally bind to cholesterol, keeping it out of the blood stream. It is recommended by the Food and Drug Administration that you eat at least 3 grams of soluble fiber each day to reap the maximum benefits for your heart. Average participants in studies nearly always saw results in lowering their LDL (or bad) cholesterol levels. Apples are especially rich in antioxidant flavonoids which are known protectors of the heart. The skin of an apple is the most healthy part, as it is high in quercetin and anthocyanins. The old saying, “An apple a day keeps the doctor away,” is full of truth. Don’t skip out on apples in your diet, and they’re healthy as dried chips too. Nuts in all shapes and sizes are healthy. Most offer a significant source of fiber, protein, unsaturated fats (the “good” fats), an array of minerals, and antioxidants. Nuts are an excellent snack food for those quick eating opportunities throughout the day. It’s pretty common knowledge that leafy greens are good for your healthy, but Kale, in particular, is super healthy. Kale packs high doses of magnesium and potassium. Magnesium and potassium are both great for regulating blood pressure and heart health. 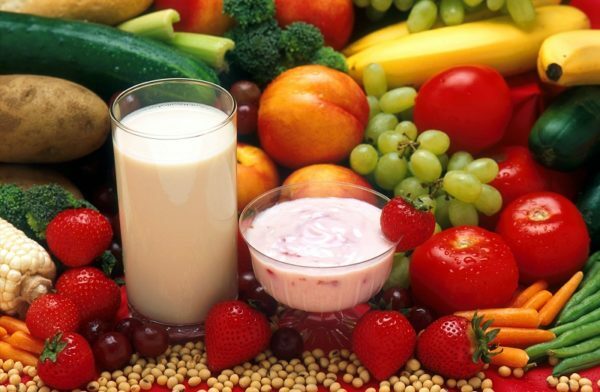 There are some dietary choices you should avoid if you’re aiming for a heart healthy lifestyle. One of the largest and most complex joints in the body, the shoulder is a combination of bones, ligaments, tendons, cartilage and muscles, designed to be amazingly flexible to allow for our wide range of motion. We tend to take this remarkably strong and versatile joint for granted until it demands our attention by malfunctioning or becoming injured. When something does go wrong with the shoulder, we quickly realize just how much we depend on it. Shoulder pain or decreased range of motion may mean there is an issue with the joint itself or with the surrounding muscles, ligaments and tendons. One of the more common problems is a tear in the rotator cuff, which is the group of four tendons and muscles that stabilize the shoulder joint. Our ability to rotate our arms and lift objects are completely dependent on the rotator cuff, and, when it is torn, any movement of that type becomes painful and difficult. Obviously, a tear to the rotator cuff is serious, and it is important to consult with a healthcare professional as soon as possible. If caught before it gets worse, it is likely that surgery will not be required. Treatment will usually include some combination of physical therapy, over-the-counter pain medications to reduce pain and inflammation and cortisone injections. An important part of physical therapy for rotator cuff injuries is exercise designed to help restore the range of motion in the muscles and joint. Pendulum circles and isometric shoulder rotations are often recommended following a rotator cuff injury but never attempt these or any type of exercise following an injury without first consulting with your physical therapist or orthopedic specialist. Pendulum circles are done with or without weights, which can be added and increased as the recovery process progresses. Something like a chair or table to help maintain balance is required for these exercises. With the uninjured arm holding the chair, bend forward 90 degrees at the waist and let the arm with the rotator cuff injury hang loosely. Swing this arm in small circles, like a pendulum, alternating direction after about 10 circles. Movement should be smooth and effortless and repetitions can be increased as strength returns. The term isometric comes from the Greek “iso,” meaning “same,” and “metric,” meaning length. Isometric exercises are done with the joint angle and muscle length not changing when the muscle contracts. This is accomplished by one muscle being worked against another or against a fixed object, like a wall. In this exercise the patient stands with the injured shoulder about six inches from a wall, with the elbow bent at 90 degrees and the backside of the fist pressed against the wall as if trying to rotate the arm in an outward motion through the wall. Repetitions can be increased as recovery progresses. The isometric shoulder internal rotation is done the same as the external rotation except that it is done facing into the corner of the wall and the inside of the fist is pressed against the wall and the arm is rotated inward instead of outward. How do CILTEP and Procera AVH Work? Nowadays, it is quite common for professionals from all walks of life to turn to brain enhancing supplements to sharpen their memory. In other words, it is not just students but investment bankers, scientists, entrepreneurs, and even Silicon Valley nerds who take the help of brain boosters to compete with their peers. A fairly simple logic seems to work in favor of memory pills. Just like athletes need to take supplements to improve physical performance, other professionals need to take brain supplements for enhancing their mental faculties. Today, many nootropic drugs are available on the market that claims to improve cognitive functioning. However, it becomes difficult to choose one that will be work best for you. This is where comprehensive and unbiased information on brain enhancing supplements, available on Smart Pill Guide, comes to the rescue. You can read reviews of several nootropics, such as Lumunol, Brain Pill, Lucidal, Procera AVH, CILTEP, Cerebral Success and Alpha Brain, to make an informed decision. Let us take a look at what brain enhancing supplements like CILTEP and Procera AVH do to enhance the cognitive functioning. 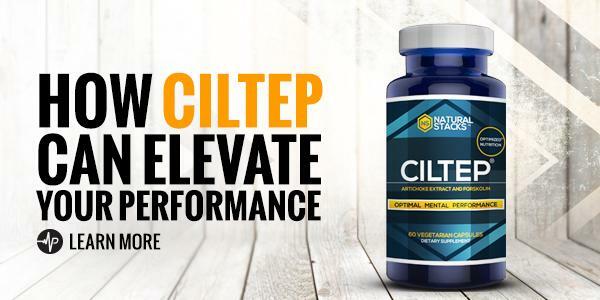 CILTEP, an acronym for Chemically Induced Long Term Potentiation, consists of ingredients that make it quite effective as a brain booster. The premium artichoke extract in CILTEP stimulates bile secretion. This nootropic has a potent phytochemical, luteolin, which inhibits PDE-4, enabling the brain to induce long-term potentiation. Another ingredient, L-Phenylalanine, makes the user feel happy as well as rejuvenated, enhancing confidence, while motivating the individual and driving them to accomplish their goals. This chemical promotes the production of dopamine, a neurotransmitter that helps control the brain’s pleasure centres. The third ingredient, Forskolin, in combination with artichoke extract, enhances learning power and memory. Other ingredients that enhance the overall effectiveness of CILTEP are Acetyl L-Carnitine and Vitamin B6. The unique blend of ingredients in CILTEP aid memory protects your brain from the deleterious effects of aging, increases alertness and improves concentration. Procera AVH comprises of three major ingredients, Acetyl L-Carnitine, Vinpocetine and Huperzine (HUP). 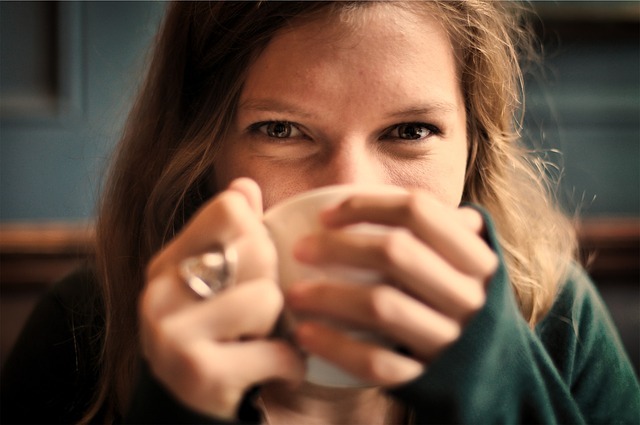 Studies have shown that Acetyl-L-Carnitine results in enhanced cognitive functioning. This substance lowers the rate of cell deterioration, which results in enhanced brain capacity. It also alleviates the effects of Alzheimer’s disease. Vinpocetine, on the other hand, addresses issues such as memory damage, loss of focus or concentration, as well as increased flow of blood and oxygen to the brain. Huperzine (HUP) functions as an ache inhibitor. The brain blocks Huperzine’s activities, thereby increasing the Acetylcholinesterase enzyme. This enzyme removes acetylcholine from the synapses, which leads to enhanced brain functioning, as it is protected from calcium as well as other free radicals. This brain enhancing supplement consists of ingredients that increase blood distribution in the brain. This results in an increase in the levels of oxygen and nutrients available to the brain. Hence, Procera AVH improves memory, alertness, focus and other cognitive functions. In addition to this, the supplement restores vital neurotransmitters that are depleted due to a poor diet, lack of sleep, stress as well as aging. Before making a buying decision, however, make sure you learn more about memory pills and brain enhancing supplements, such as Cerebral Success and Alpha Brain, to make an informed decision. Wading through the uncharted waters of nootropics can be confusing for many newbies. 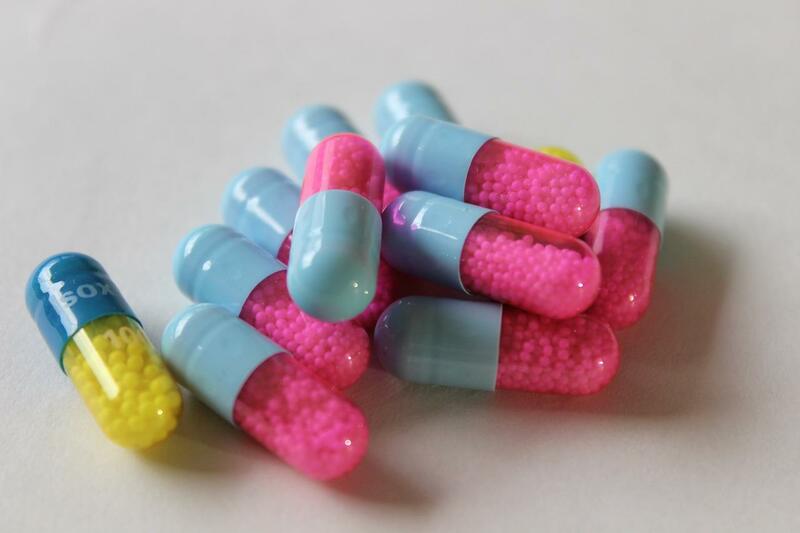 If you are entirely new to nootropics or have tried and are yet to find any satisfactory results, this mini guide is for you. I’ve tried to answer the most basic questions about finding the right nootropics for you, and attempted to cover all the possible angles from ‘what’ to ‘why’, ‘who’ to ‘how’, and ‘when’ to anything else. There is no denying nootropics can be puzzling or even intimidating for people who have never used them before. Sometimes, it can be difficult to make sense of the vast world of nootropics, even if you’ve been using them for a while. So, I’ve decided to create a mini guide to help you find the right nootropics by answering five crucial ‘W’ and ‘H’ questions. What… should you be looking for? Finding the right nootropics as a beginner starts with searching for the most basic ones. Once you’ve found options you think you might like to try, look out for what the nootropic contains. It’s very important to check the kind of ingredients used in the nootropic. Be wary of brands that use cheap ingredients, because chances are, you’d only be dealing with a diluted substance. Also, look out for the amount of ingredients used in the nootropic. While you might find that a nootropic contains the right ingredients, if it’s not the appropriate quantity, it will not reap results, leaving you with an ineffective nootropic. The brand of nootropic matters as much as the ingredients. Beware of false marketing hype, especially with brands that establish and reinforce false expectations. To help you tie this all up, read feedback and reviews online, as they are often more reliable than what the distributor or manufacturer has to say. Again, it is important to start basic and slow. Take your time and find out what each ingredient in your nootropic does. Go slowly and allow yourself to test it and understand how it will affect your body. This is important, because the way it will affect you might be different from the effect it will have on someone else. When you start with as low as one or two noots, you’ll be avoiding overshooting the mark, as one compound might actually be all you need. Also, you’ll find it easy to determine what effect each compound has on you. Why… nootropics in the first place? Before you even start, you have to ask yourself exactly why you’re taking nootropics and why you chose a particular nootropic . You need to define what your personal goals are and exactly what you hope your nootropic intake will do for you, in terms of cognitive benefits. It also matters if you’re not in perfectly good shape and have a serious medical condition that may be affected by your nootropic intake. Finally, decide whether you’ll be better off using a nootropic stack or a single nootropic supplement and why either option would work better for you. Who…should you ask for help? It’s easier to find out from someone around you what nootropics to use, but you must bear in mind that person’s personal goals might not be the same as yours. If they’re taking a nootropic you’d like to try, you could ask them about how it affected them. Your best bet for finding what works for you is by learning from a nootropics expert. That way, you’ll have all the guidance you’ll ever need. When…could you start to experience side effects? You have higher chances of experiencing side effects the higher the dosage of nootropics and the more nootropics you add. This is exactly why you should not start off by building a complicated stack. When you start to experience side effects, start all over, but slowly. If you had taken too many different cholinergic supplements, cut the dosage in half. If you had used more than one product, narrow down the culprit by cutting out products through trial and error. It’s easy to feel discouraged when it seems a nootropic does not work after you’ve taken it in the recommended dosage. Bear in mind that the most awesome nootropics take their time to work their magic in your system and produce the desired results. Also, sometimes you might get slightly different results than what you expected, but before you give up on the product, use it for at least two weeks. On a final note, nootropics should be approached with the right mind-set and not rushed. Do that, and you’ll have solved half of your problems. 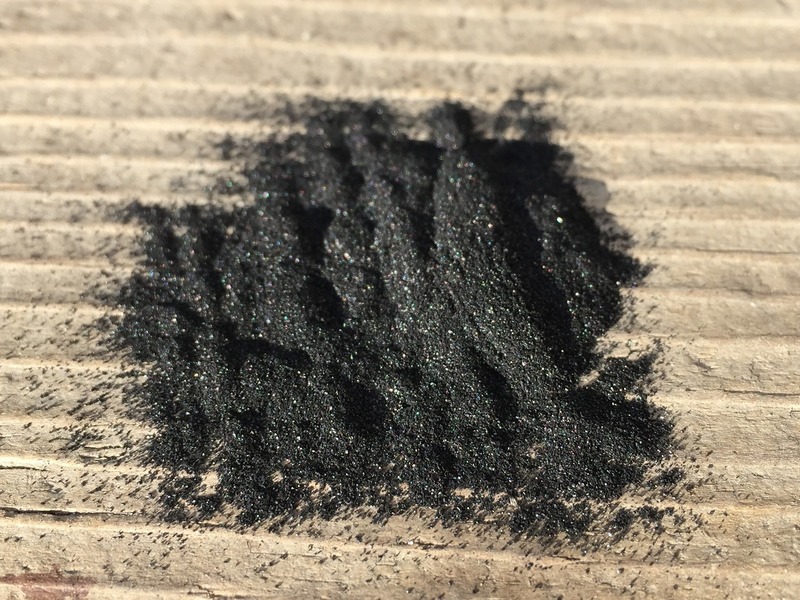 Activated Charcoal: Detox Tool or Fitness Fraud? It seems as though every fitness media outlet has latched onto the newest trend: activated charcoal. The black powder is said to have medicinal purposes as a powerful detoxification agent, and is treated in a way that is safe for human consumption. Before being a fitness fad, it was commonly used in emergency rooms to treat mild poisonings. Basically, activated charcoal is supposed to flush out all toxins and chemicals from your body, giving you a clean slate to begin a healthier lifestyle. All of this sounds good, but how effective is activated charcoal at removing these so-called “stored toxins”? According to Livestrong, there is no evidence to show that the human body has stores toxins to begin with, or that charcoal can somehow extract them from your body. If you’re trying to use activated charcoal to lose weight, regular consumption of charcoal can lead to more damage than good. Similar to other detox diets out there, the charcoal detox requires participation in fasting for a few days. The weight you may lose during this time is due more to the calorie restrictions during the fasting phase than to the charcoal consumed. Moreover, the regular consumption of activated charcoal can lead to constipation, diarrhea, vomiting, and in some severe cases, bowel obstruction. With consistent and repeated doses, complications such as abscesses and charcoal deposits can develop in the abdominal wall. Dr. Kamal Patel, a medical professional in Tampa, Florida, has been doing extensive research on the affects of activated charcoal on the body. For those taking daily prescription medications, the interactions between charcoal and the medications could render the medication ineffective. This is particularly dangerous if the medications taken ensure proper bodily function or livelihood. One of the most popular promotions of activated charcoal, besides consuming it for detox, is using it for teeth whitening. Instructions for it’s use for teeth whitening is to wet your toothbrush, dip it into loose activated charcoal powder, begin brushing it on your teeth, leave it on your teeth for three minutes, then rinse. It’s recommended to use activated charcoal to whiten teeth around two to three times a week in order to begin seeing results. Activated charcoal is also said to be a cure for bad breath. Unfortunately, dental professionals are wary on recommending activated charcoal for teeth whitening. They recommend only using it around once every other week, if at all. They also warn that since it is such an abrasive powder, it can wear down the enamel on the teeth, causing bigger dental problems down the road. Enamel is the protective layer on your teeth that help prevent cavities or rot, and once it’s gone, it’s very hard to restore. This is certainly a bigger problem than having yellow teeth. So the next time you’re looking for a healthy way to detox, we recommend sticking to fruits, vegetables, and a large glass of water!